Following on from last week’s new feature – generating PDF documents with the click of a button, this week’s update removes the need for the button click, generating documents automatically based on criteria you specify. For example, if your system tracks exam marks, you may wish to automatically generate a certificate whenever someone passes. Another more common example might be generating invoices for all work carried out this month. 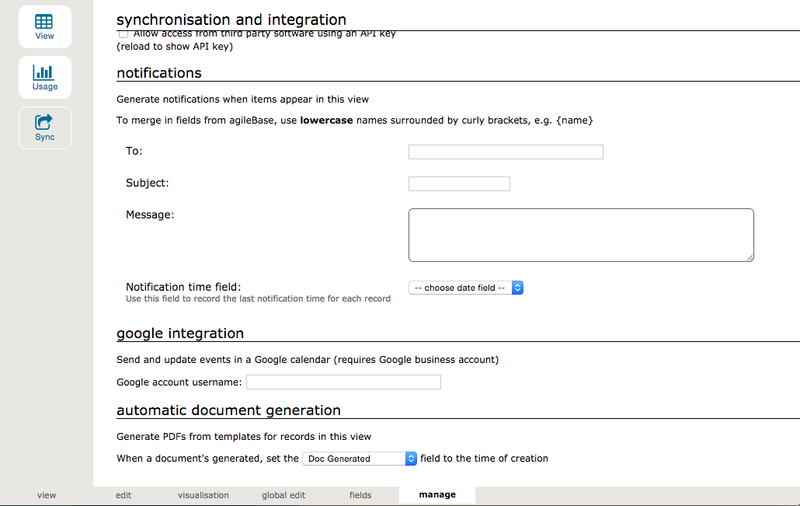 The concept works much like email notifications or syncing events to Google calendar. A view must be set up that contains the records that you want to generate documents for. That’s it. Now whenever a record appears in the view, a document will be generated. Note this generation may take up to 10 minutes from the time the record appears in the view to allow for the fact if a record’s being edited, we want to make sure all information has been captured that may go into the document template.